Recent mask synthesis takes longer runtime due to the demand on higher accuracy. It is common that optical proximity correction (OPC) takes a few days. 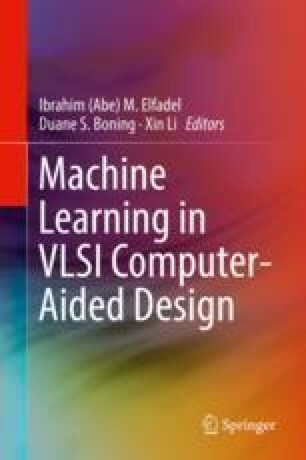 Machine learning has recently been applied to mask synthesis process with some success. This chapter addresses two popular mask synthesis tasks, OPC and etch proximity correction (EPC), and presents how machine learning is applied for their efficient implementation. Discussion on learning parameters, preparation of learning data set, and techniques to avoid over-fitting are also provided.